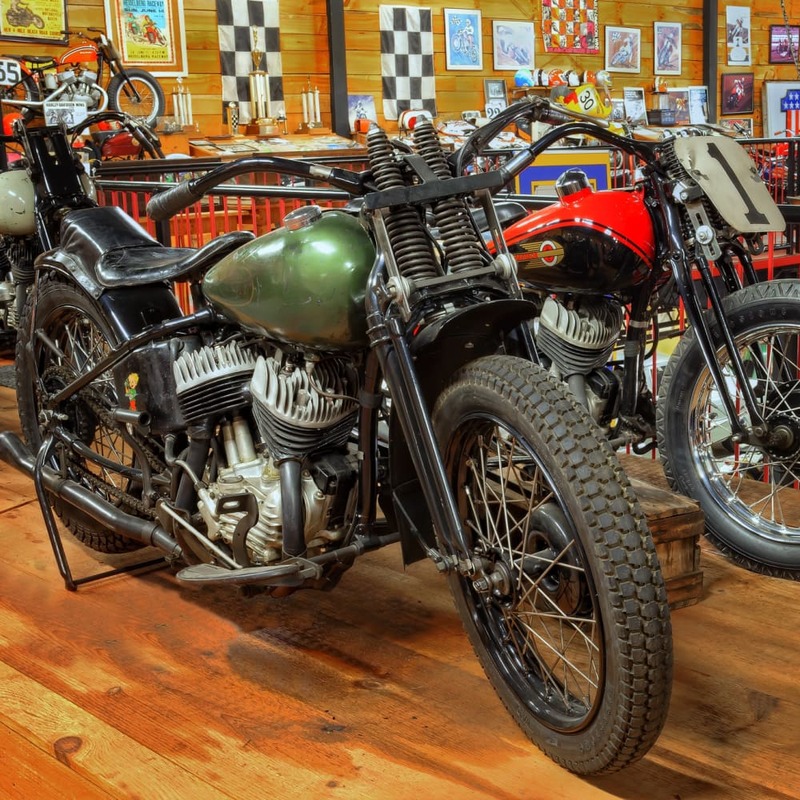 The Hill Climb Hill here at Wheels Through Time consists of the rarest of Harley Davidson, Indian, and Excelsior hill climbers made from 1928 through 1949.
riders. 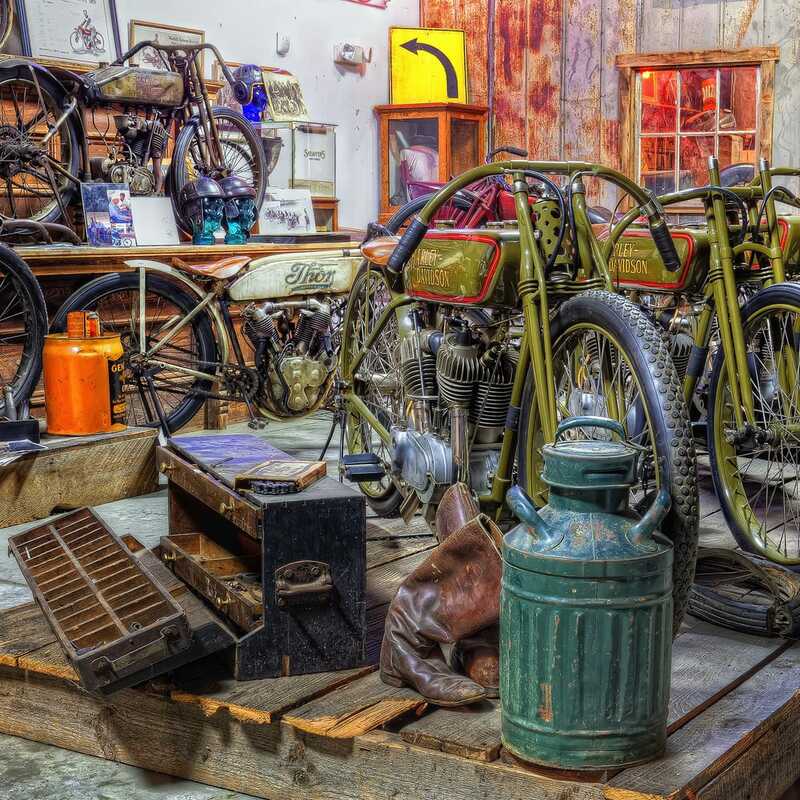 By 1928, both Indian and Excelsior had highly developed both their 45 and 61 cubic inch factory climbers and dominated the sales leading Harley-Davidson on the slant taking the 1929, 1930, and 1931 National Hillclimb Championships. 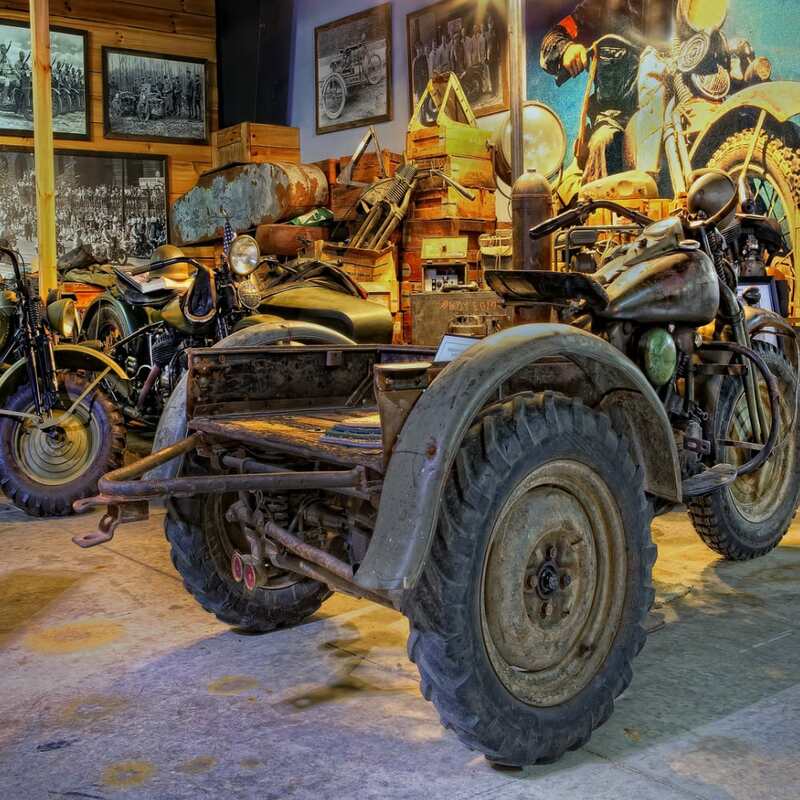 While Harley-Davidson had produced an effective 61 cubic inch machine that was competitive in the late-1920s, it wasn’t until the 1930 sales season that they would introduce a factory hillclimber for the increasingly popular 45-inch class – the infamous “DAH”. 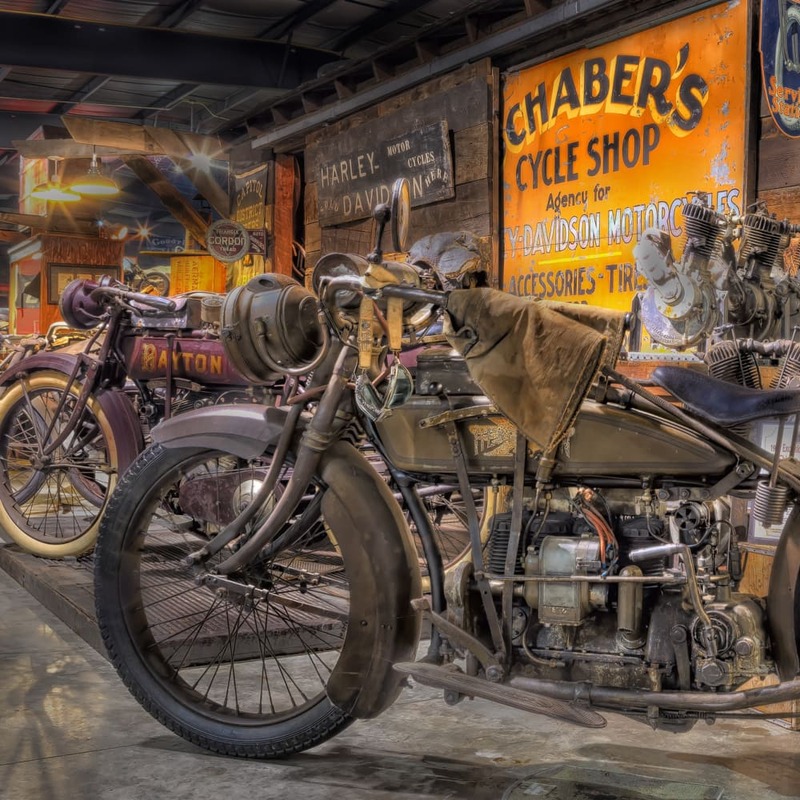 Tough times for the entire motorcycle industry had set in, and by 1931 Excelsior President, Ignaz Schwinn, closed the doors at the Chicago factory. 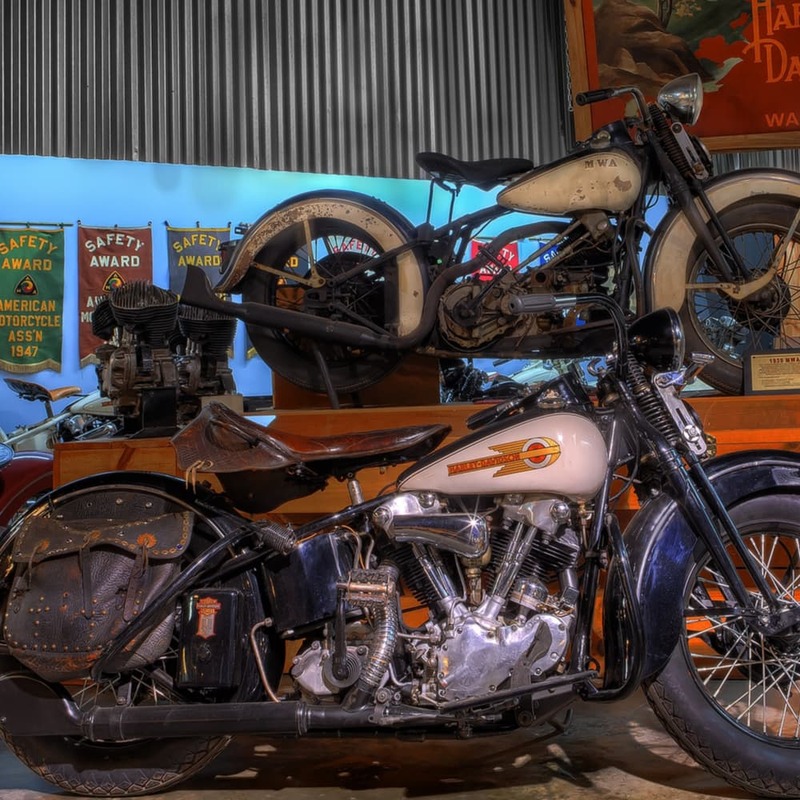 Indian was operating on a mere 5% of capacity and Harley-Davidson sales figures reached an all-time low in 1933. The spirit of competition continued, and the fight for top honors remained a priority for the America’s only two remaining manufacturers. 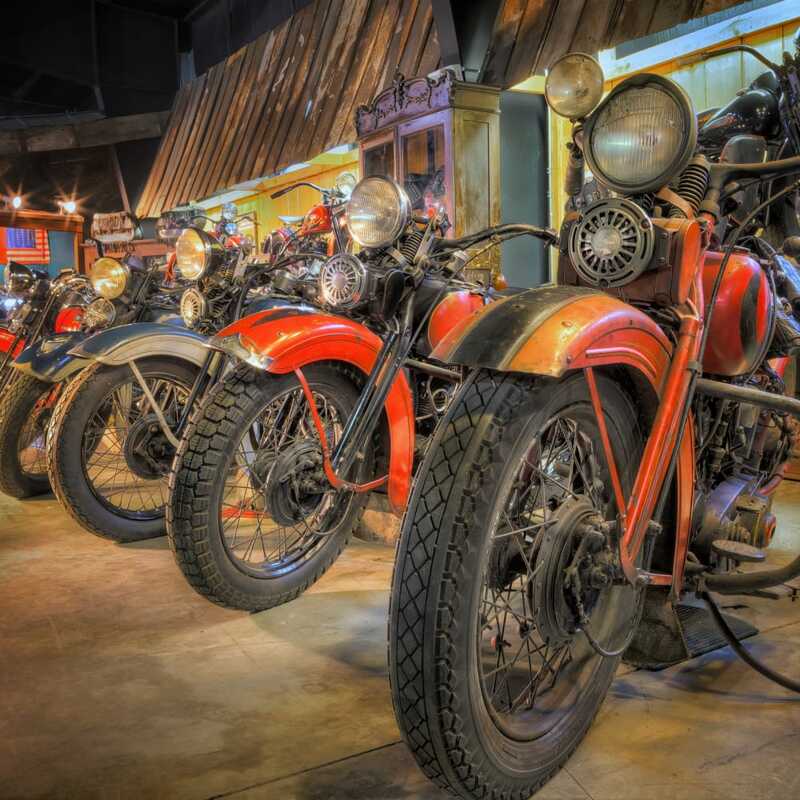 The great depression had taken its toll on motorcycle production and sales. However, the “Big Three” maintained a racing department that was essential in sustaining operations. 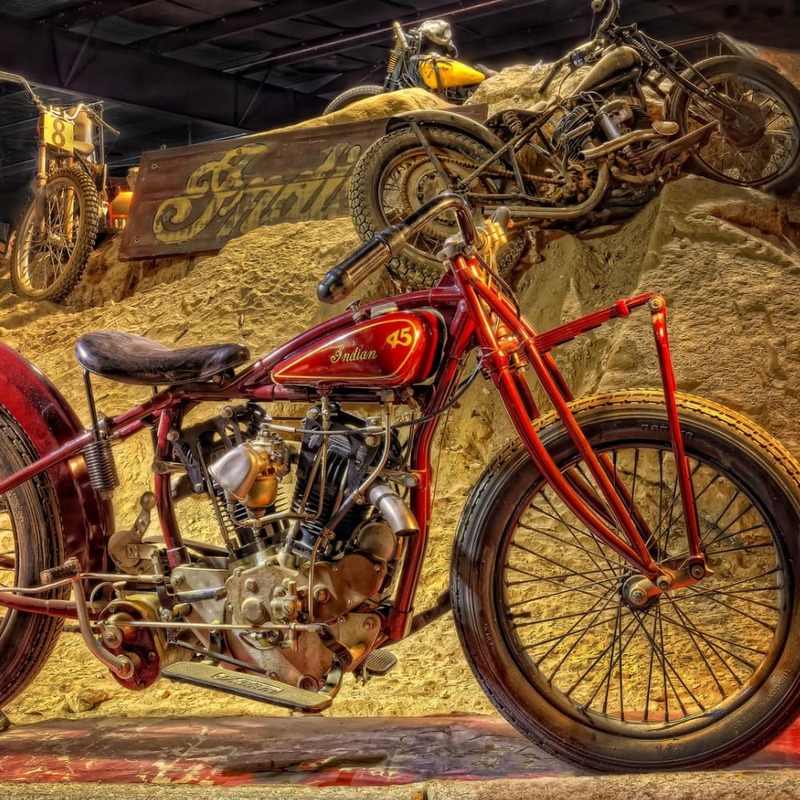 While Excelsior officially ceased motorcycle production in 1931, without the tremendous effort of manufacturers to be “King of the Hill”, perhaps neither Indian or Harley would have lived to see the next chapter in American motorcycling. The Wheels through Time Hill Climber Collection is unparalleled in the collector world today. 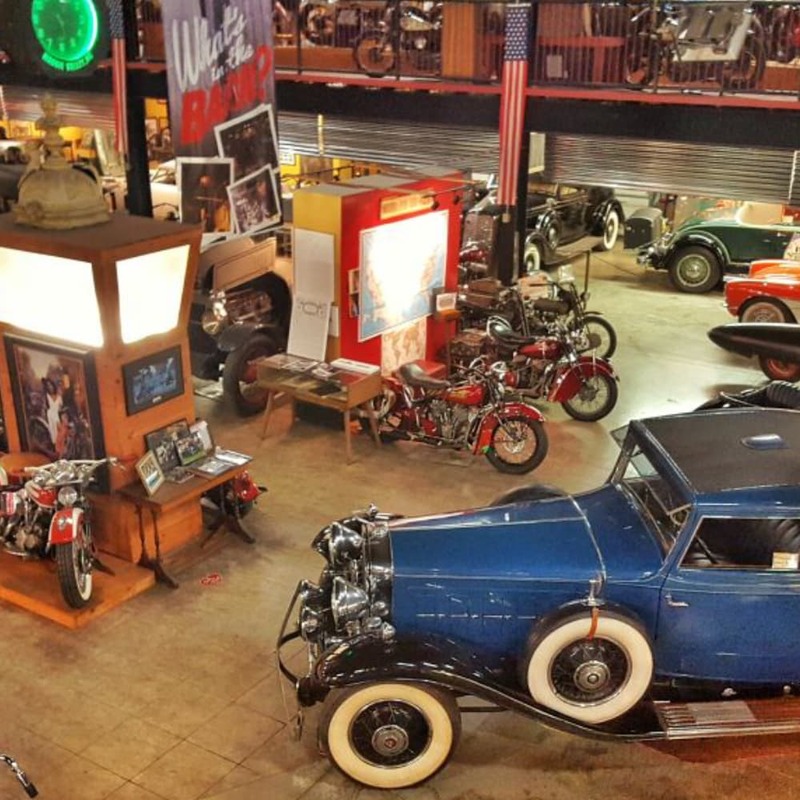 With over a dozen factory specials and many additional “privateer” machines, the museum’s grand Exhibit is a tribute to the glory days of American hill climb history. This machine is identical to the record setting machines of George Perry in the heydey of American Board track racing. 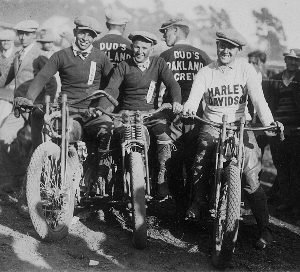 With the help of factory sponsored riders, Indian would win the 1930 and 1931 National Hillclimb Championships on the “Altoona”, and secure their place in hillclimb history. 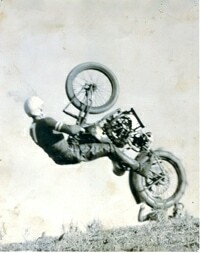 1930 marked the height of the great competition in Professional Hill climbing in America. Excelsior was at the top of the hill in 1929 with the introduction of the 750 Alcohol burning special. Harley Davidson has just built 20 special 750 overheads for the same class. This machine is a special 2 cam 2 bar FHAC with a keystone frame that went back to the factory for a Ricardo Chip upgrade.